Sometimes, it is exactly the comfort that keeps us from pursuing what we really want. 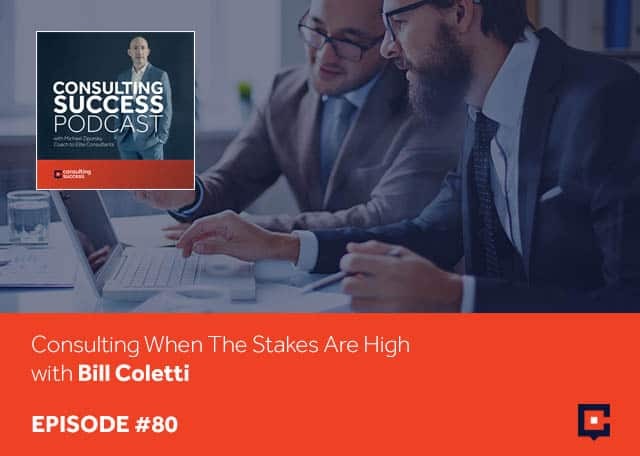 Bill Coletti, founder of the crisis communications and reputation management firm called Kith Consulting, has stepped out of the comfort offered in working for an established organization as a consultant to starting and running his own consulting business. When the stakes are high, he managed to push through and grow his business into a success. Bill shares his journey while imparting great insights to those who are starting a business of their own. He talks about the challenges he encountered as a sole owner and finding focus on the service offerings that worked best for him. He also offers advice on selling services, getting referrals, scaling your business, and more. I’m very excited to have Bill Coletti joining us. Bill, welcome. Michael, I’m glad to be with you. Thanks for making the time. Bill, for those who aren’t familiar with your work, take a moment and share with us what you do. I am the Founder of Kith Consulting. We are a Crisis Communications and Reputation Management firm. We do three primary things. 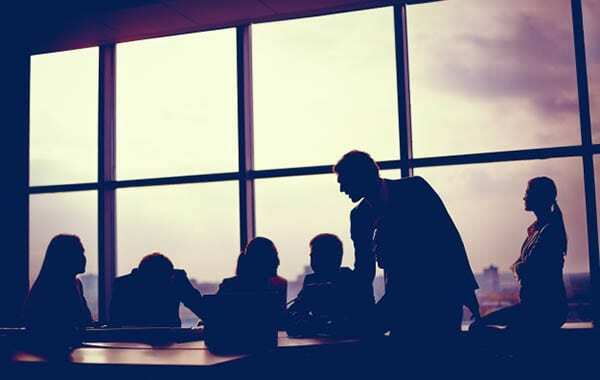 We work with corporate clients on crisis response, crisis readiness and crisis training. It’s a very niche offering that we do. At the apex of crisis is that we spend a lot of time with the long-tail relationship on reputation management. We’re going to dive much deeper into a lot of that. Let’s go back to the beginning of the early years. How did you even get involved in Crisis Communications and Reputation Management consulting? During and after college, I spent the first part of my career working on political campaigns. I ran my first State Senate race as a senior in high school for a friend who ran for office. Ultimately worked for a State Party organization and then increasingly larger campaigns. The beginning part of my career was all focused on campaign consulting and electoral politics. Ultimately, I ran a couple of statewide campaigns. I had a little bit of an interruption in there where I took off, went and did some of that in Eastern Europe but then ultimately came back and ran a US Senate campaign in 2000. That was the first phase. From there, that then transitioned into a consulting role with a growing 150-person firm based in Austin, Texas. I was in Florida at the time. We grew a Florida office and it was a firm that focused on the intersection of business and government, not lobbying. It was very much issues management and what I call the critical moments communications. Your clients are some very well-known organizations and I’ll get to who those are. You’ve been building your current business for a couple of years. You started that after working at Hill+Knowlton and then Public Strategies. Why did you decide to leave the “comfort” of working for established organizations as a consultant or your role as VP to go off on your own and actually start to begin running and building your consulting business? I believe in the philosophy of radical candor. I’ll show it to give you the very candid perspective on that. We were at Public Strategies and we got acquired by WPP, which is a large multinational advertising and marketing firm holding company. The unique culture and the unique kindred spirit that you have with a 100 to 150-person firm was much different with a multi-thousand size firm. When I looked to my left and I looked to my right, a number of my colleagues, friends and posse were all leaving because it wasn’t what we had known. It wasn’t what we had loved and what we had built. We didn’t do it out of spite. We didn’t do it out of anger. It was not that place. Equally candid is that the fundamental offering of a global PR firm and the fundamental offering of what we did at Public Strategies, that intersection of business and government were different. It became time, there were leadership changes and there were structural changes. I spent a lot of time on the road. Like all good consultants, I spent three to four days a week on the road. It was an opportunity for change. I had gone through some life transitions and those life transitions convened, got together with the corporate transition. It was time and it was scary. The comfort, the word you used is an excellent word because it was comfortable. I knew it. It’s the devil you know versus the devil you don’t know. It was a bumpy start. There was a false start transition with a firm that I tried to start in Florida and that didn’t pan out. I ultimately went out on my own and it’s been the best thing I’ve ever done. I love it. When you say that you had a false start, can you share with us a little bit more about what that was and looked like? I’m asking because oftentimes in our “failures,” there are lessons to be learned. I’m wondering what lessons did you learn from that experience? All of us say, “Wouldn’t it be nice if we had a partner? Wouldn’t it be nice if we had an ally?” Some people go out to strike out on their own and build a firm and they stay at the top of the pyramid. In leaving that comfortable environment that you described, is that I wanted to have a community. I partnered with a couple of people that were in Florida that had the beginnings of a firm. The firm was going and I was going to come in and take over a large practice area for them. Partnership is great and a lot of people that works. The primary issue for us, while intellectually aligned on the work product and intellectually aligned on the products that we were offering the marketplace, we weren’t aligned on customer service. We weren’t aligned on how you treat your clients. We weren’t aligned on fundamental issues of grace and character. I don’t mean that in a disparaging way because you could be graceful in lots of different ways and you can have lots of different types of character. I don’t think that’s an on-off switch. It wasn’t perfectly aligned with the way I wanted to treat people and I wanted to be treated myself. It came down to personal attributes around the way we treat and the way we evaluate clients. I read a little bit about and made some videos around this concept that I call the unprofessional professional, where I see a lot of people in the marketplace who in some cases have been “very successful,” but the way that they communicate or their lack of communication to me is disparaging. I see a lot of potential opportunities being missed but also, it’s not the way that I would want to run a business. When someone sends an email, I’m going to make sure that I get back to them as long as I possibly can, especially if it’s something that I said that I was going to do. Following up with or sticking to your word for me is very important. For many others, it doesn’t always seem to be that way. I can understand that lack of alignment that you had in that previous firm. When you then went out and decided, “I’m going to start my own company.” You’ve built this up to work with some very well-known organizations, what were some of the initial challenges that you then had as a sole owner or founder of this business to start off? The challenges were pretty typical. The challenge is how are you going to make your mortgage payment? I was fortunate to have an anchor client that moved over with me, a long-standing client that became an anchor client who let me build a foundation. That helped with that. The other challenges were scaling, “How do I scale who I am?” I only have so many hours a day to trade for money. That was a challenge. The other big challenge we had at the outset of the firm is, “Who are we? What do we stand for? What do we mean? What’s our niche?” We were all over the place. How did you hone in on? When we started the conversation, you were very clear with your three offerings. You were very clear on what you do, who you do it for. It’s an area that a lot of consultants struggle with, especially in the early days. Finding who they are, that paradoxical choice in having so much choice because so many consultants bring a lot of knowledge, experience and expertise to the table. How did you decide to narrow in and focus on the service offerings that were going to be the most successful for you? We knew that crisis and crisis communications, that was the title that I carried at Hill+Knowlton and I was the global practice leader of our crisis practice. I knew that was going to pull through because that was obvious because that’s what I was known for. It’s what I did and what I enjoyed that was pulling through. It was the discernment to say no to other areas such as issues management, which is a derivative of that in the communication space, lobbying or public affairs. The notion of reputation management is as I got tired of solely being a firefighter, which is what I do as a crisis communicator, I want to have people think about reputation and think about it in a different way on the long tail of that. We knew what the core was. We knew that was our discipline. We always struggled with the marketplace. I’ve always been envious of the firms, for example, architects to food and agriculture companies or picked marketplace picked the discipline but they are crystal clear on that marketplace and discipline definition. I knew the marketplace. Our initial challenge was we’ve got these half a dozen things we can do. We notice there’s the one core thing that we do, what are the adjacencies? We’ve refined that to crisis and reputation management. It was the discipline to say no. We have always struggled with the marketplace and that is the nature of my business. I can’t be the guy in the industry because there simply isn’t enough crisis work in that space. I have to be a little bit broader. I look at larger companies, if there’s a market place I have, it is enterprise companies. I’ve seen a bit of a theme in looking at some of your clients, whether it’s in medical or healthcare, there seem to be certain little themes but there’s also, for example, a basketball team or things along those lines. Let’s come back to scaling. That’s an interesting conversation or area that we could explore. I’d like to hear how you’ve been approaching that. I think some consultants might wonder, how do you sell services for something that may not be on the mind of the company that you want to sell it to all the time? When it happens, they’re scrambling to get help but it’s not necessarily a sign that they are actively looking for at this moment if everything is going well in their business. How did you approach that? It is the fundamental question that I struggle with, “How do I sell what I do? How do I market what we do?” The primary source of business for us is referrals. 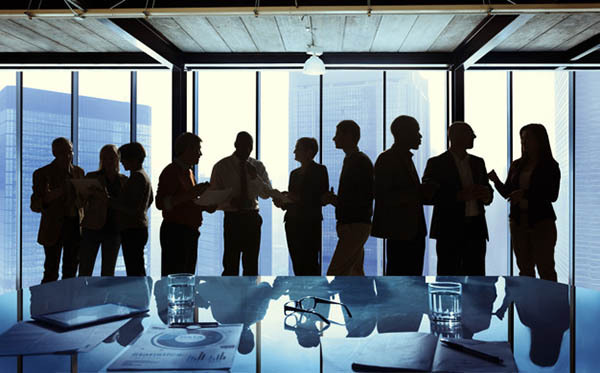 Through lawyers and/or other executives that we’ve worked with, company X finds themselves in a challenging situation. They say, “Who do you know who’s worked with you in the past?” That’s how I get referrals. That is almost nine out of ten frankly, is where that comes from. It’s people that trust me, know me and have had some experience with me in some form or fashion. The way we sell it in a greenfield sales context is that we sell readiness and concepts of risk. Every organization, even if they think they are crisis-immune, need to be risk aware. We sell it under the context of not talking about the crisis but talking about it as risk. Let’s do some risk evaluation, let’s do some risks triage that then leads into understanding about your crisis readiness. Without the lead, it’s not, “I’m here to be your firefighter.” The lead is, “I’m here to help you do fire prevention so that you don’t need me.” It’s a counterintuitive sales cycle. I’m trying to convince them that they don’t need to retain my services if they retained my services. Do you get push back on that, where some people might say, “I understand this risk assessment or to get our risk profile but we haven’t had a problem. We have good management, maybe we don’t need this.” Is that something that comes up a lot and if so, how do you respond to that? It does, it’s a little naïve, I think. That is a sales speed bump that people put up. If they pause and think about it and if I would pull out, it happened to be the magazine or the newspaper that I’m reading at any moment is that I point to, “Could this company be you?” That’s the subject of a headline of an article or a magazine. They pause and if they are somewhat of a reflective leader they’ll say, “That could be me.” If I ask a question and I love using questions in the sales cycle as a qualifying and also a way to meet and learn, if I ask questions and I’ll say, “I know you’re perfect and understand that you guys are well-buttoned up. Have you seen anybody in your industry, in your vertical or in your category that has gone through something this?” Everyone says, “ABC Company went through that.” I said, “Could you ever imagine a time where that would you?” Those are the ways we get around in a sales context. It doesn’t always work. Some people think their stuff doesn’t smell and some people think they’re really good. I’m sure you run into hubris among corporate clients all the time. Everybody does. It’s not for you and that’s fine and I’m okay with that. Looking at the types of clients that you serve: Cargill, City of Hope, Cracker Barrel, The Home Depot, Target, Xerox, the San Antonio Spurs, well-known brands, companies, organizations. You mentioned that referrals are your biggest source of leads and opportunities for your consulting company. How do you approach getting referrals? Are people emailing you, giving you a call or are you actively and proactively doing something to help facilitate and support getting those referrals? I’m sure you’re familiar with the Entrepreneurial Operating System or EOS, and most everybody should be because it’s good stuff. You hit on one of our big rocks. One of our big rocks is to formalize and figure out a referral-based marketing system and put that in place. There are two main things. The answer to your question is we don’t have any silver bullets on this one. We have done a lot of outreach to attorneys, a lot of outreach to former clients, a lot of outreach to PR firms, folks that don’t have this specialization and don’t view me as a competitive threat and reached out to them seeking referrals. What does that look like? When you say outreach to attorneys or PR firms, if we can break this down, is this an email? Is this a direct mail printed letter? Is it a phone call? Is it a combination of these? What does it actually say? How do you start that? What does that messaging look like? The sequence is email, phone call and meeting. The email is typically email, phone call, email, another email, another phone call and then a meeting. It’s not as simple. It sounds more elegant to say email, phone call, meeting but there are a couple of herky jerks in there before it actually happens. I find some point of connection in our respective networks. Law firms, I’ve worked with enough of the larger law firms that I do six degrees, two or three degrees of separation. I probably know somebody there. I’ve seen that they’ve worked on it on a situation that is comparable to something that I’ve done. Make an introduction, create a meeting and have a very informational conversation, where I try to share and be very helpful to them at any compensation and then get in the Rolodex. They’d get in our CRM, we follow up and stay connected with them. I love to shoot little emails back and forth to people that says, “Did you see this or were you aware of this? I know you’re working in Denver and on this topic, I saw this going on in Cleveland. I thought you might be interested in knowing about it.” That’s the basic system. Some people are not interested. We’ve interestingly done a lot with these PR firms and a lot of PR firms, they are marketers at their core. They are trying to get promotion, media and attention for their clients. Anti-attention, which is what I’m in the business of, I try to have less attention on people, is not a core competency for them. They’ve got real serious clients with serious problems. I am crystal clear with my discipline, I have no interest in doing PR work. I have no interest in doing anything that is a threat to them. It’s a pretty symbiotic relationship. With the attorneys, I’m occasionally the tip of the sphere and can refer attorneys but most often they’re the first phone calls of corporations in trouble. It’s difficult for me to be too helpful to attorneys but very easy for me to be helpful too and non-threatening to PR firms. When you are sending out the email to people, it sounds like you’re very much personalizing the message. How much time do you find typically takes for you to identify someone who is a mutual connection or to do the research to know that they were dealing with a situation that happened in Denver? Give us a sense of how much time is being spent on for each person that you’re reaching out to. For me in my role as the leader of the firm, 75% plus portion of my time is spent on sales and marketing. It’s a huge component of what I do. There are certain episodes when there’s a crisis engagement where I lose track of that and all in for a period of time with a client. It’s a 30-minute, 45-minute exercise, you get pretty nimble on LinkedIn. You get pretty nimble with keyword searches on Google and you put two and two together. It’s a spark. It is a touch point. We don’t need to write a case study about what happened in Denver. You need to spark that curiosity. The greater challenge is simply the logistics of coordination, finding time to get on the phone and finding time to be diligent. If we lose our way, that’s where we lose our way. It’s not on the front end. We lose our way on the cat wrangling. That’s where that’s the real challenge for us. If I find a name, find a topic or find something that is usually interesting and I want to go pursue it, it’s a 30, 45-minute process from beginning to end. I’ve got a relatively straight forward template of an email that we send and it’s a little plug and play after that. What’s the incentive for the PR company, the attorneys or whoever it might be to connect or to pass you that piece of business? Are they receiving? Do you have some compensation structure where they’re receiving some compensation, if you take on work that they get a piece of that? What type of structures or agreements do you find work best for partnerships like this or referrals? 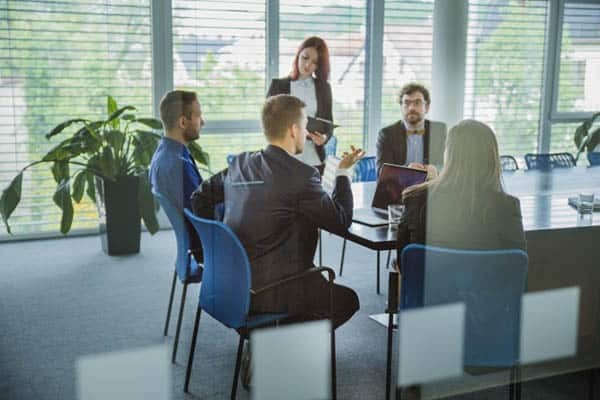 I’ve found generally in my experience and having done this for quite some time, there are two types of agency principals and for that matter, legal advisors. Those that are self-aware and those that are paranoid. If you’re paranoid, you’re threatened by me and you don’t want to have me in there because you’re afraid that I’m going to steal clients and so, therefore, I don’t even bother. How do you know that? Is it based on their language in the meeting? Based on the language context, they’re a little standoffish. There are some that are self-aware and are like, “This guy is pretty serious. This guy actually has done stuff I’ve read about in the paper that’s pretty high profile. He’s somebody we should know. We’re pretty good too but we’re not maybe that good.” That’s self-awareness. The key to success is people to be self-aware. To your specific point about contractual language, we’re open to that. I can’t think of a time where I’ve come in as a sub for somebody that needed some help but I don’t do much of that. Someone will say, “Let me introduce you to my client. Let me introduce you to my friend.” Their compensation, if you will, is that they are being helpful to those that they serve. They become a higher level of trusted advisor status with their client. All the David Maister stuff and all that trusted advisers, absolutely they provide value by me providing value. I wouldn’t be opposed to it but it’s rare when you do that and someone wants your hooks in you like that and my sense is that those are coming to some vestiges of paranoia. You have some semblance of control that’s there. You mentioned that one of the other challenges are areas that you were focused on initially and I’m sure that as your business has continued to grow, gain more momentum and get more clients is scale. What have you been doing to grow and scale your business beyond the time that you have? One of the best things that I did a couple of years ago was made the decision to hire a strong deputy, someone who could potentially be me over the long-term. That individual is an incredibly talented, seasoned strategist. She’s good and with time can easily do what I do with some experience. The awareness that I don’t have to do everything. The awareness that as long as their needs are met and they know that I’m not far away, clients are actually okay with that. Once my scale challenge became minimized, once I became self-aware that I didn’t have to do everything that clients were fundamentally in need, they weren’t fundamentally in need of me. There’s some ego in that but I think that was valuable to get help. The other thing similar to that is being honest that there are things I am not good at. There are things that I am a bottleneck too. There are things that I bogged down. There are content, outputs and reports that other people do better than me. Being okay in asking for help and being okay to say, “I’m not going to do that because that’s not highest and best use, you need to do that.” Being able to delegate and being okay with that from a work product standpoint but also for me being okay with it that I don’t want to impose on people. I’m a pretty serving, giving guy and when I ask people to do my laundry, I feel like I shouldn’t be doing that. I know that is not the highest and best use of my time. Being conscious of those two things is critical. Many consultants, especially in the earlier stages, look at working with others, bringing other people on, using contractors or whatever. They see it as a cost, not as an investment. They hesitate to offload that work but view that as an investment. Not only does it allow you to potentially have someone who’s even better in those other areas to do the work for you. It also frees you up to focus on the highest value tasks and areas where you can create even more value, even more revenue and even greater growth. I’m glad that you shared that message with everyone. Bill, I want to thank you again for coming on here and sharing a bit of your journey and story with us. There’s so much more that people can learn from you and I know you’ve done some amazing work. What’s the best place for people to learn more about you and to learn more about your book, Critical Moments? Where should they go to learn about you, your firm and more about your book? Folks can find me at Kith.co, that’s our website. I’m very active on LinkedIn as Bill Coletti and then also on Twitter, @BColetti. Those are the three main areas. We do a lot of blogging. We do a monthly webinar. We do a lot of content about once a week. We share some content on our blog and insight perspective on what we do. We share that on LinkedIn. The three primary vehicles for us is the website, it’s easy to find us there, LinkedIn under me and the firm but then my Twitter feed, @BColetti, those are the two best ways. The book got its own website, it’s CriticalMomentsBook.com. The subtitle of it is The New Mindset of Reputation Management. This new framework that we are offering to clients to get past crisis thinking and into long-term reputation thinking. The traction and the response has been fabulous for the book. It felt good to get it out of me but it’s been very useful in the marketplace. Michael, thank you very much.